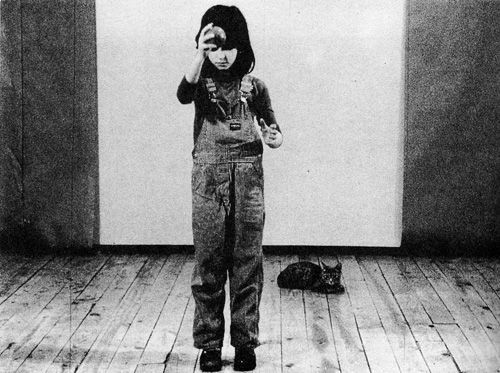 Yvonne Rainer will introduce a screening of her first feature film Lives of Performers, followed by a discussion between Yvonne Rainer, Berlin-based writer / curator Madeleine Bernstorff and the audience. Explicating the emotional love triangle between three dancers who, as characters, play themselves, Lives of Performers is at once a melodrama and a sustained documentation of roles played within roles. Simultaneously stylised and asymmetrical, posed and improvised, it beats an episodic path through public and private observation (the dancers in rehearsal, backstage and onstage), love and pain, possibility and impasse, culminating in a series of tableaux that tell the Lulu story. Babette Mangolt’s camerawork echoes Rainer’s choreography, describing emotional intensity through durational experience, challenging narrative conventions and reconstructing expectation as radical experience. Presented by LUX, Mary Kelly Project and Whitechapel, in association with the London International Summer School.